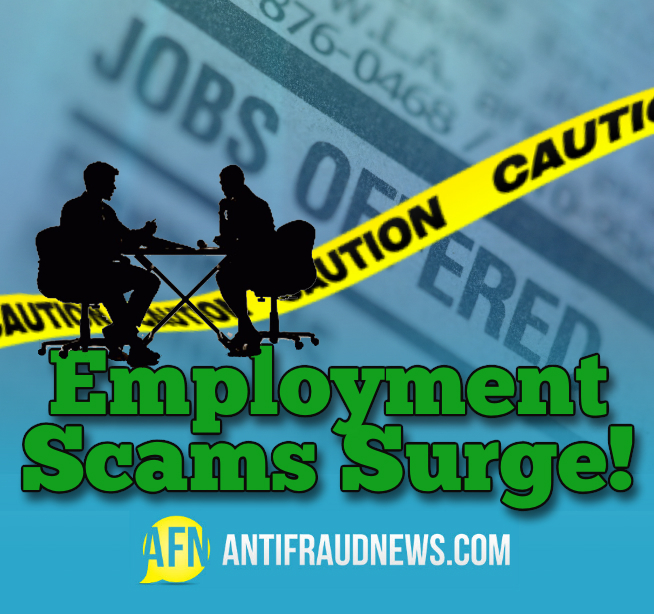 Being out of work can be stressful enough on its own, the last thing you want to is to fall victim to the surge of employment scams that seem to be all around you as a result of high unemployment rates. You know the types – street signs offering you the opportunity to get rich quick working from your own home, internet ads enticing you to make money stuffing envelopes or answering phone calls, medical billing ads in newspapers, and numerous other employment scams targeted on separating you from your limited money. How can you avoid becoming a target and falling victim to one or more of these unscrupulous offers? You must begin by educating yourself to what constitutes legitimate job offers as opposed to employment scams. On this page, you will find details of some common ways companies prey on those seeking work. By avoiding these too-good-to-be-true sales pitches, you can focus on the legitimate job offers available to you. One of the most common employment scams you will find comes in the form of a company requesting a “small” investment in order to provide you with a list of available jobs. From mystery shopping to envelope stuffing to medical billing, companies will require you to invest some of your own money upfront in order for you to start generating an income. Legitimate companies will never require you to spend money in order to earn a living. Now, this is different from multi-level marketing companies such as Miche, Thirty One, Tupperware, or Mary Kay, where you need to have merchandise to show you customers. These types of jobs/careers are best for people with large circles of friends or networks of contacts, and ultimately do not fall under the category of employment scams. If you have only a handful of friends and do not enjoy socializing at networking events with strangers, selling products such as these will not earn you the income you desire. However, if you are a people person, there are a number of different companies to look into that can supplement your current income in time. Remember, it takes time before you begin to earn a living in this type of field. Today, you have the greatest tool available to keep you from falling victim to employment scams. You probably used that tool to wind up here on this page. Google has made it possible to research just about anything you can imagine, including companies that are looking to trick you into sending money or working for free. If you have received an offer for a job that you are unsure of, simply Google the company and see what comes up. Always remember one rule of thumb – if it sounds too good, it probably is not legitimate. Do not fall prey to get rich quick employment scams. If they were real, we would all be rich by now!